The combination of the products mentioned below has been found to be very effective for Immunity. All the products work together at different levels to provide relief. These are actually recommended by our MD (Ayurveda) doctor. Although the products are effective individually as well but they give synergestic effects if used together. This package lasts for 1 month and the health kit is formulated depending upon dosage of 1 person for 1 month. 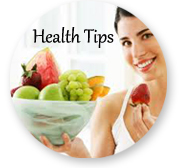 Triphala Capsules - 2 capsules twice daily with plain water after meals. Kumari Saar - 15-20 ml of the juice, to be diluted in a glass of water and taken two times per day. Once empty stomach in the morning and second dose in the evening at least 1-2 hrs before dinner. Yakrit Plihantak churna - 1 teaspoon twice daily with water. Yakrit plihantak is an excellent remedy for liver detoxification, used with arogyavardhni vati. Punarnava mandoor should also be used along with it. 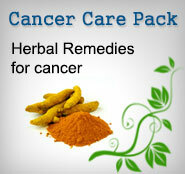 After using all these herbs for 1 month, We are sure that you will feel the positive change in your health. These are the best herbal remedies for Liver described in ancient Ayurveda text and the herbs are recommended by an experienced Ayurveda expert. I will say that he should avoid high protein diet. All lentils, pulses and cereals which are basically made up of protein should be avoided. Proteins contain Amino acids ( Nitrogen molecules), and wastes of the body like Urea and Creatinine, Uric acid all contain Nitrogen molecules and its compounds. So we must not give raw material to the liver to make such waste products. Chemical based synthetic drugs must be avoided. The person can take green vegetables, salads, fruits ( avoid citrus fruits), Rice in very small quantity preferrably made with green vegetables. Nuts are fine. Milk is fine. Heavy greasy food, left overnight food should be avoided. Freshly cooked meal should be given and not from the fridge. Exercises like Mandookaasna ( Frog Posture) are excellent for liver problems. It's also good for diabetes. All types of Pranayama must be done for cleansing of the system of toxins. Diffuse the?feelings of high pitta?like anger, hatred, frustration, jealousy from?yourself. Get rid of them.This will be also useful in blood pressure and skin problems. Good for Pitta ( Fire element). So Pranayama like Bhastrika, Kapal Bhati, Anulom-Vilom should be done for atleast 1 hour everyday including the light yogic exercises.